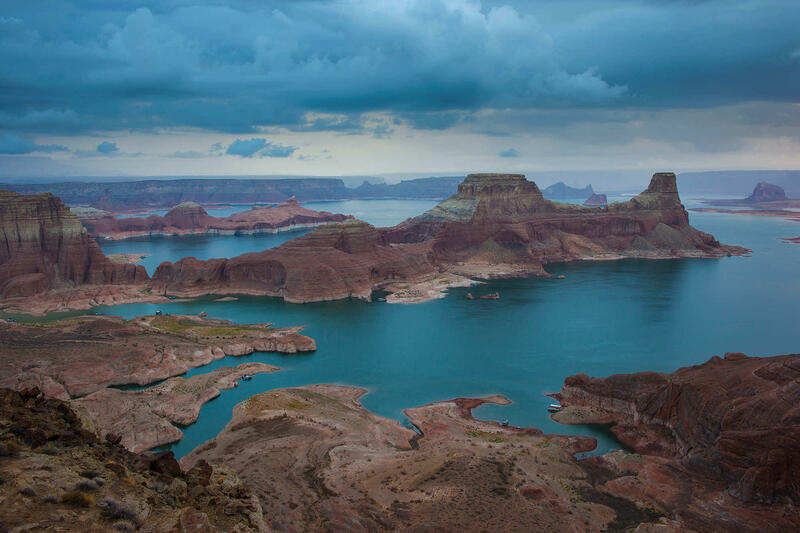 Researchers are studying evaporation on Lake Powell. "It's a difficult number to measure," said Chris Pearson, assistant research scientist of hydrology at the institute based in Reno, Nevada. "It's not just a Lake Powell problem. It's a science problem." Under the current estimate system, Lake Powell lost about 386,000 acre-feet (476 million cubic meters) of water last year. Estimations for Lake Mead east of Las Vegas show it losing more than 600,000 acre-feet (740 million cubic meters) of water each year. One acre-foot of water is enough to supply two average Las Vegas homes for about a year. The National Park Service has finalized its environmental assessment of Lake Mead, declaring that the man-made lake situated in Nevada and Arizona is at a safe level for recreational use.